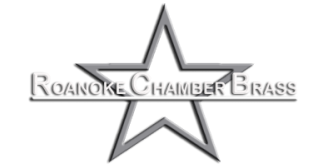 Since 2001, the Roanoke Chamber Brass has been an established part of the arts culture in southwestern Virginia and has solidified its reputation as a premier chamber ensemble. As musicians and dedicated educators, the Roanoke Chamber Brass strives to provide first-class musicianship and professionalism. Whether in liturgical services, educational programs, or performing with a wide variety of ensembles and choruses, musicianship and a pleasant demeanor are hallmarks of their performances.